The Hopi have kept their ancient instructions from Creator, they hold a great wisdom and connection with nature. They are innovators who grow many things in the Arizona desert and experts in ritual to call forth rain to water their crops. Their connection to water is very sacred and intimate. So it is no surprise that in early 2006 Japanese scientist, Masaru Emoto visited the Hopi Mesas in Northern Arizona to make a presentation about his work. Emoto has done ground-breaking research with water which imply that water is conscious and receptive to human energy/intention, that it has intelligence and wisdom. Since we humans are made primarily of water, our relationship with it is central to our relationship with our own selves. The Hopi believe that being in harmony with nature is vital to life itself and this is reflected by the symbols used in their dances, rituals, art and jewellry. Water may be symbolized as turtles, frogs, clouds, lightning, rain and waves. Hopi are one of the oldest remaining ancient cultures in North America, known by many as Tibet of the West. Living in the arid Painted Desert where rainfall is minimum, the Hopi have perfected the art of creating thriving gardens known as dry farming. Their rich cultural traditions, dances, and spiritual practices give them a very special relationship with the finite resource of water. Hopi believe that we are all related to the clouds (clouds are our relatives) and if no rains come it is because we are spiritually out of harmony. Hopi celebrated Emoto and his wisdom. Many elders have said that they always knew science would one day validate and prove what Hopi have known regarding water. This beautiful coming together of individuals from different cultures and disciplines to reach the same understanding is significant on many levels. Some call it prophecy while others call it a much needed collaboration between ancient indigenous and modern wisdom. 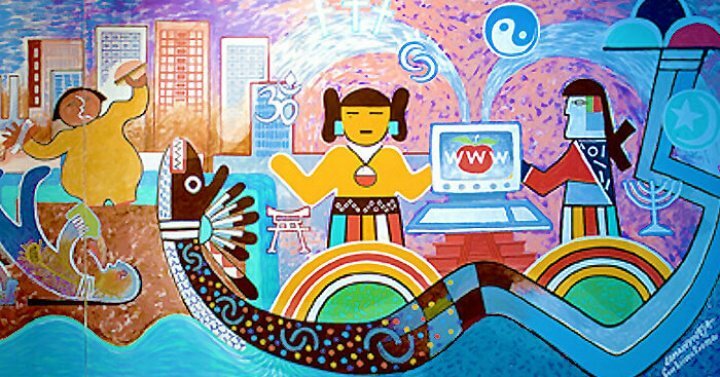 Hopi planned to bring a different message of indigenous people from all over the world. It is a simple message, that Water is Life. 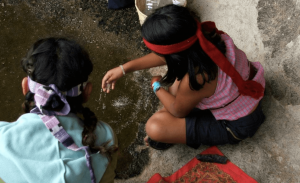 Their message was a warning that profiteering from water while many don’t even have access to clean water for drinking or hygiene will not be accepted. This message would be delivered in a beautiful way, with respect in a sacred manner and from representatives of the most ancient people on the planet. Not surprisingly, the Hopi Runners were seen as activists and were turned away from the World Water Forum. Something unexpected happened though upon their arrival in Mexico City… Indigenous chiefs from across Mexico had assembled in full regalia to welcome them! Unbeknownst to the Hopi, all of the local tribes had kept stories and prophecies for generations that these runners with a message of water were fulfilling. 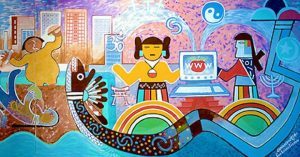 Beneath an ancient megalith of Tlaloc, The Aztec God of rain and water that has been moved to the centre of Mexico City from its original home at The Pyramid of The Sun, the tribes gathered in ceremony and prayer. 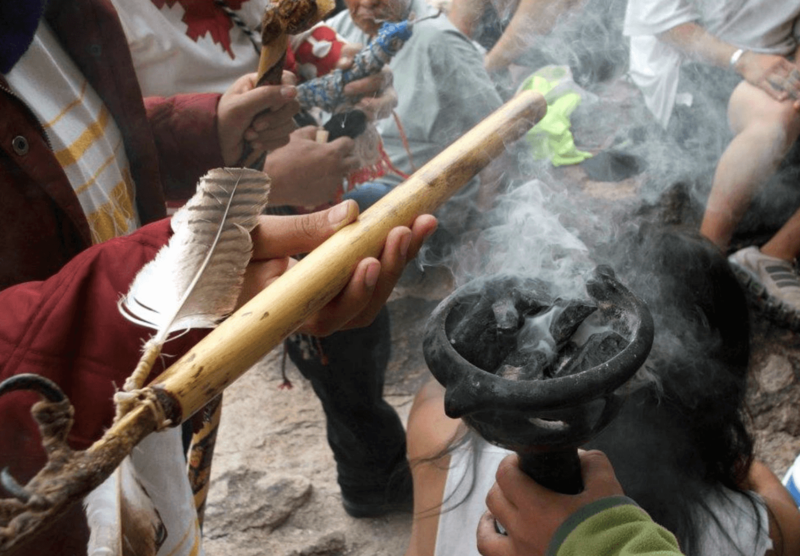 On that day, The Hopi were invited to bring Eagle Dancers to the foot of The Pyramid of The Sun on Spring Equinox to fulfill a 500 year prophecy from the time of Montezuma. On Spring Equinox of 2006, the people of central America welcomed the ceremonial and symbolic return of The Eagle signifying the beginning of a great time of change, healing, purification, and ultimately peace for the whole world. The Maya are known as The Keepers of The Ancient Flame, The Lords of Time (also known to Ancient Celts as The Vanir). This milestone also represented an aspect of healing of the 500 year-old wound since the arrival of Columbus, a time when native people would no longer need to hide their ancient knowledge from the world. Thus heralding a time when the world is ready to listen to the ancient wisdom of the original people of this land is upon us. That time is now. Central to Hopi belief is that water is the chief of the elements. Perhaps its time we started to think with our hearts, and return to the natural way to ensure our survival. The two videos above were directed by tribal elders and shot by youth media-creators. Every aspect of what is emerging combines the highest aspirations of many diverse cultures and individuals from all ages. Evolution is not a spectator sport. Get involved and participate, spread the word through your own social networks. Some stories are told, others are meant to be lived. Join us for a global campaign to heal the waters of the world at Bless the Water. To learn more about this project, please visit here. Very Special thanks to Brian Hardin and Allison Fast for video footage. ← Why Save a Computer Virus?